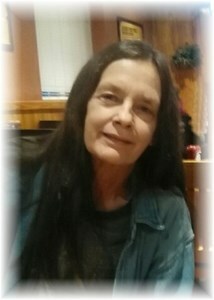 Cheryl L. Dietz, 59, Indianapolis, passed away on March 18, 2019 after a battle with cancer. On May 16, 1959 Cheryl was born in Indianapolis to Marvin and Karen (Massing) Kendall. Cheryl retired from the U.S. Postal Service after 30 years of service. Cheryl enjoyed life and loved being with her family. She liked to travel, spend time on the beach, going to concerts, playing with her fur babies and watching all the John Wayne movies. She showed her love for other by always helping others out; and was a loving Mother, Sister, Daughter and a dear friend to many. Cheryl is survived by father: Marvin Kendall; son: Brent Dietz and his fiancé: Christine Coulter; brother: Kenny Kendall; niece and nephews: Connor Kendall, Carter Kendall, Callie Kendall and a host of other family and many friends. Cheryl was preceded in death by mother: Karen Kendall; brother: Gary Kendall; nephew: Collin Kendall. Visitation will be on Saturday, March 23, 2019 at Newcomer - Indianapolis Chapel, 925 E. Hanna Ave., IN 46227 from 10 A.M. until her Funeral Service at 11 A.M. Interment will follow at Forest Lawn Memorial Garden. To share a memory of Cheryl or leave a special message for her family, please click the "Share Memories" icon above. Add your memories to the guest book of Cheryl Dietz. Cheryl ?? Have great memories of working with U at the P.O. and some fun lunches. You will be truly missed.???? I was a neighbor of Cheryl's mom, Karen Kendall for many years. I got to know Cheryl and her son Brent. Some of THE BEST people you could ever be blessed to know. You are with your mom again Cheryl, hug her and tell her I still miss her. You, Cheryl now have no more worries. Rest in peace. I was Cheryl’s dog groomer. I am very sad to see her passing. I know she was looking forward to seeing her son and I am glad she made it to Indianapolis. She was very loving and caring and I enjoyed seeing her and Harley. She will be missed ? ?